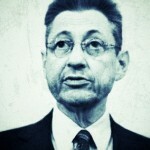 The judge in the Sheldon Silver trial indicated yesterday that evidence not presented to jurors may be released to the public before Silver’s sentencing in April. That evidence was put forward by federal prosecutors last fall but denied to jurors through successful arguments by Silver’s defense attorneys. Freedom of Information Act requests by the New York Times and NBC now put Judge Valerie E. Caproni in the position of deciding how to balance the rights of privacy for people named in those motions and the right of the public to have all the information gathered by lawyers from both sides. Judge Caproni seems to be leaning toward releasing all material but redacting the names of anyone not introduced formally as part of the trial. The timeline calls for expeditious release, within the next two weeks.